Despite being a medium tank, it can be considered one of the best scout-gameplay tanks in the German tree, with excellent acceleration and turning giving a mobility rivaling the Luchs. 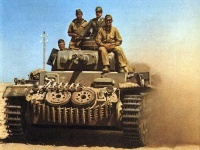 Comparing the two, Panzer III has less maneuverability than the Luchs, potentially more firepower (but less standard penetration), thicker but flat armor. There are two guns: the 5 cm KwK 39 L/60 long-cannon with higher penetration and flanking is the best choice for newer players, but there is also an howitzer-like 7.5 cm KwK 37 L/24; with HEAT being a near-necessity and requiring some extra skills and equipment. Both guns have their place on a fully upgraded Pz.Kpfw. III, it depends on player preference and playstyle. 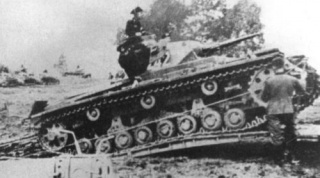 Competing with other tanks, its agility makes it very effective against other light and medium tanks, but its guns are almost useless against heavy tanks. Be sure to avoid engaging multiple opponents - flank, use cover, and only come out to shoot when you need to. 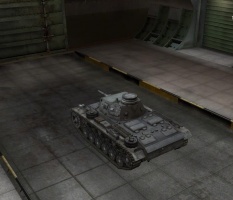 Use this tank to learn the camo, spotting, and player-distraction techniques of the Leopard line. 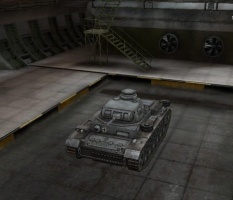 The Panzer 3 is a decent flanker with speed/mobility and okay DPM. 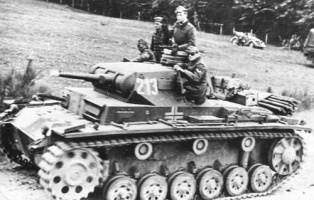 Once you purchase the Panzerkampfwagen III (or Panzer 3), you realize it is as fast as its predecessor and can be played similar to the parent Pz.Kpfw. III Ausf. E as a scout, but its view range is poorer for the tier. 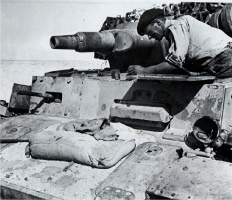 The addition of better armour can be 'lucky', but should only be used when necessary. In short, you will need to reevaluate your tactics against higher tier tanks. 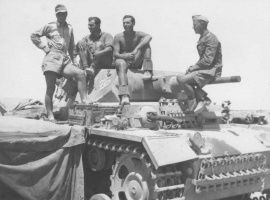 The Panzer III's armour is an illusion. It suffers from very weak side, turret, and lower glacis armor, making it unreliable. Its frontal armor isn't sloped, which makes it insufficient against anything of equal tier or higher where penetration often exceeds 90mm. It is obvious why the Wehrmacht wanted to replace the turret: its can only fit a gun selection suited for combat against light tanks. 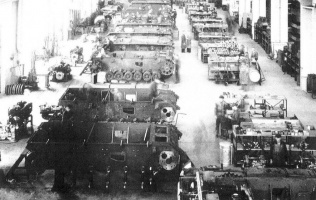 Its best gun has 67mm of penetration and cannot penetrate any tanks above the tier IV level without premium ammo, for example having great difficulty damaging a Matilda. 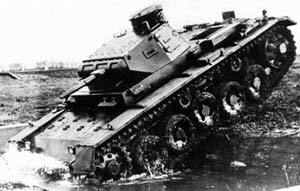 Therefore, it is recommended that the Pz.Kpfw. 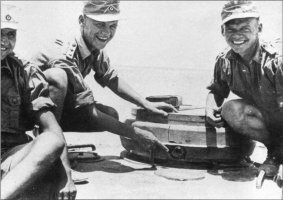 III equip the 75mm gun and load unhistorical HEAT rounds, for maximum alpha. It should be played as a flanker where aim time is not a problem, and only brawl in 1v1s; but if you have a good crew, you can be a sniper-flanker with the 5cm L60 at a longer range as well. In a game where the Pz.Kpfw. III is the top tier tank, it becomes a very deadly machine. 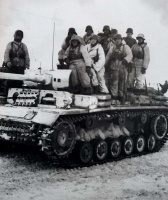 While its speed is that of a scout tank, and thanks to its frontal armor it can prove more than a match for tier 4 and lower tier tanks head on, With the addition of better guns than the Ausf. A, you'd find yourself the most mobile and possibly the best flanking/scouting tank at your tier. 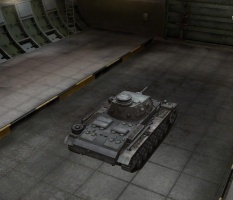 Its 70mm frontal armor can deflect many shots and its speed enables it to be played very aggressively. However, be careful not to get overextended in these games because the side armor of this tank is still an issue at lower tiers. Still, with the gun selection of the tank, it is quite easy to overwhelm weaker light/medium tanks and seize objectives quickly for your allies to follow up upon. 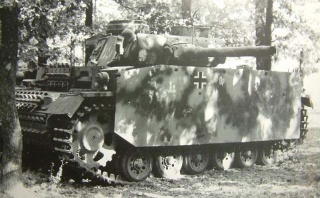 * One of the PzKpfw III's historical modifications, the Schürzen side-armour panels, are missing. Only the Pz.Kpfw. III Ausf. N had the 7,5cm Kw.K. 37 L/24, which was considered as a bad decision. This page was last modified on 18 December 2018, at 23:31.